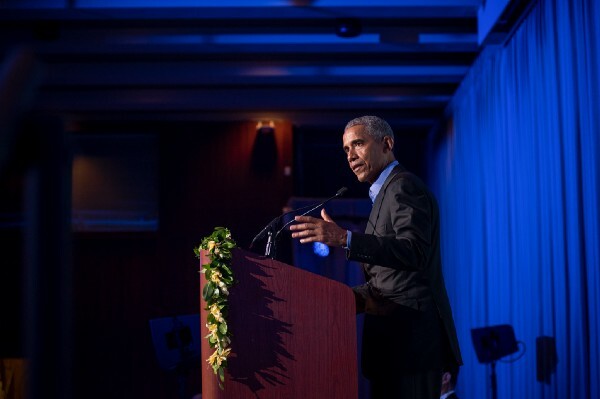 In the first few days of 2019, I was invited as part of a group of 21 leaders to help design the ‘Obama Foundation Leaders: Asia-Pacific’ programme. This programme aims to bring together 200 emerging leaders from across Asia-Pacific to explore new ways to take on the biggest challenges in their communities, and the 21 of us spent 3 days together as the first cohort envisioning our future for the world and what emerging leaders would need to make that future happen. Coming off more than 13 years of facilitation and L&D experience in my career, I’ve learnt that the worst thing you can do for your learning is to say: “Been there, done that.” I’ve conducted leadership workshops, design thinking workshops, product design sprints, strategy development offsites, and every experience is a different one. 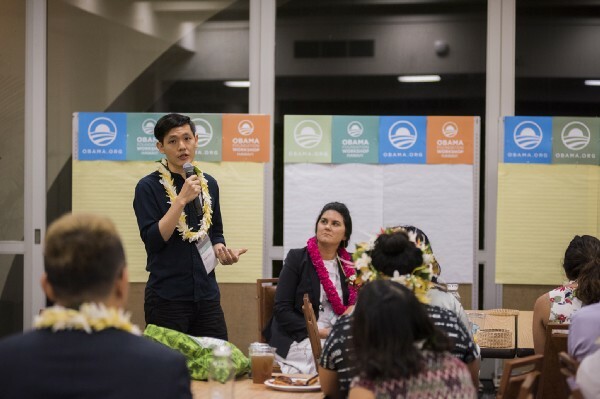 This design workshop in Hawai’i affirmed that belief. 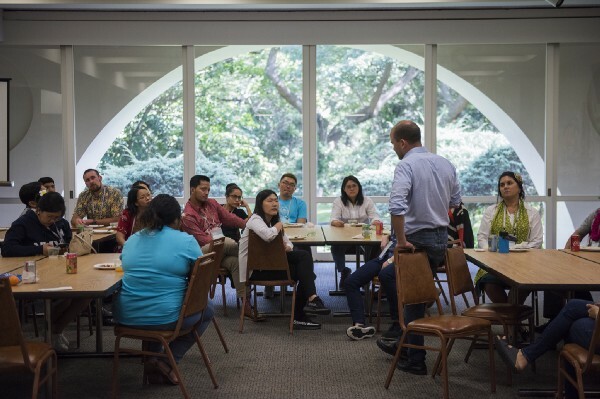 We learnt from Bill Coy, Director of the Omidyar Fellows, what it meant to be an adaptive leader and not a mere technical problem solver. We learnt from Stuart Candy, Associate Professor at Carnegie Mellon and futurist facilitator, a primer on futures thinking and how it affects our role of agency today. 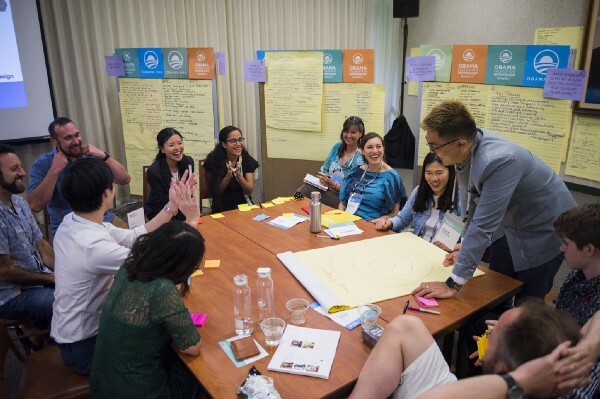 We worked with Foundation supporters to consider solutions and synthesise thoughts for the larger ‘Leaders: Asia-Pacific’ programme. It gave me hope — and a great deal of excitement — that when we gather 200 emerging leaders later this year, it will be practical in empowerment, warm in connection, and earth-shaking in inspiration. It’s taken me a while to consolidate my thoughts and distill the learning that was in every person’s wise words. There was nary a moment when you didn’t feel your mind expanding; your ideas challenged; your view of the world take on another vantage point, and I’ve tried to condense all of this into five points that will hopefully provide some idea of my learning. A common sight of respect amongst the elders who were leading our sessions, and who we had the opportunity to learn from, was their greeting of touching foreheads. Two of them would come together, extremely close, and bow their heads slightly, stretching them forward until their foreheads would meet. And then they would linger there for a few moments. That greeting had more meaning and symbolism than I had first come to appreciate. The act of coming so close signified a unity of ‘breathing the same air’. As they were soaking in the shared space and mutual respect, they lingered in understanding, setting a precursor to what they would converse about. The second symbol that was astounding to me was one of vulnerability. You see, the ancient Polynesians were warriors and navigators. They would sail treacherous seas in search of new lands, and once they come across those lands, they would fight for their livelihood — and at times fight to defend it. The greeting had two persons literally sticking their necks out, demonstrating a willingness to be vulnerable and trusting the other person, for how easy it would be to whip out a knife and deal a killing blow. As a leader, this was such a strong metaphor for me. Am I putting myself in a position of mutual respect and shared understanding? Was I being vulnerable enough; trusting enough, in order to make the change I want to with my team? This is a worthwhile reminder for all of us privileged enough to be in a place of leadership. One of the best parts about the weekend was actually spending time with the Obama Foundation International team. They were warm, welcoming, and so hospitable in making everything so easy and smoothly run. You leave the workshop actually feeling a little bit indebted, and making a promise in your heart to not let the work be in vain. Anyway, I digress. One of the common discussion topics we had amongst the leaders and the team was: There is a wave of nationalism that is increasing across the world, in some places going to the extent of protectionism. What can be done on the grassroots level to stem that? 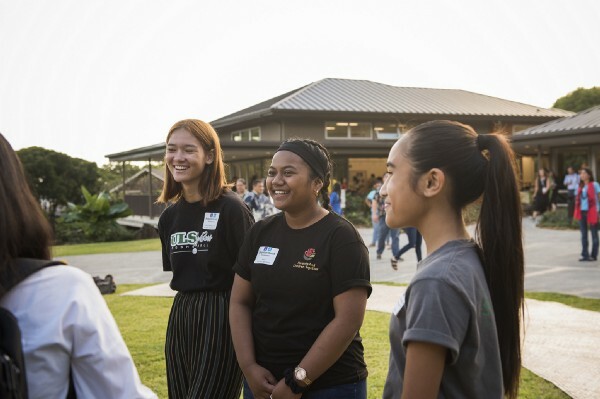 One idea that came up is that if youth are the future of our world, then it bears worth to develop them — not into people who fit our ideals of what leaders should be, but into people who hold the right values of leadership. Values that go beyond the frequently-espoused, never-disputed, but less-exemplified (these are things like integrity, responsibility, etc.) Don’t get me wrong, I think values like that are of utmost importance. In fact, Halogen Foundation’s values include the two I mentioned above. But our young people have grown up with these values preached to them, through the education system and through management literature. My worry is not with those who would live them out, but those who do not immediately identify with them as they are intrinsic and cannot be seen upfront. The youth who struggle with daily life, whether because of peers or family background, and need an actionable value to consciously build their approach to life in their impressionable years. I think the way we build young leaders as we move forward has to involve conversations and simulations on values like inclusion, tolerance, and a commitment to human dignity. And if we can do that, we are building our future not to just be prosperous — but to be gracious. One of the segments in the weekend was a visit to the Manoa Heritage Center, and being guided along elements of the native Hawaiian culture. 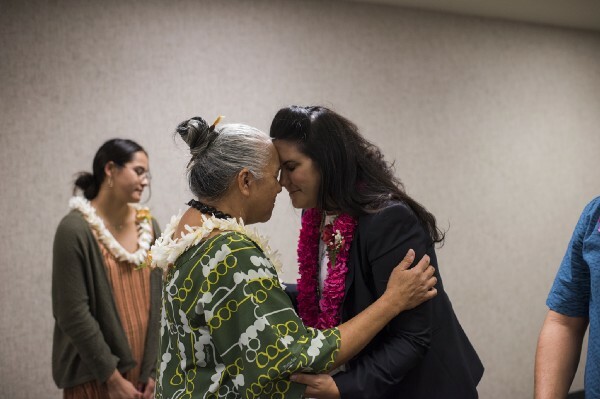 Maya Soetoro-Ng, a Faculty Director at the University of Hawai’i (who also happens to be President Obama’s sister), briefed us on the visit and in her briefing said something which stuck with me. What a heart. It was the first time I heard that being explicitly said by anyone, and it struck a chord with me on how we at Halogen Foundation have been successful — not because we have credible programmes or excellent resources, but because we believe in giving attention and showing interest. If you’re working with young leaders, your encouragement doesn’t come by advice or solutioning — it comes by attention and interest. Hearing his story fundamentally had two salient points for me: One of them is the above. In a political campaign, few people want to ‘get their hands dirty’ and do the ‘gumshoe work’ of fundraising. But that’s what he put himself out to do. I reflect on the young people I speak to, and on my own life even, and that cannot be truer. Ever so often, the glitz and glamour of a job/function/role takes primary focus, while the necessary gumshoe work doesn’t. What makes it harder is the spotlight that continuously shines as a result of social media — highlighting the flashy bits and downplaying the cogs that make the clock run. This is a message to the youth I lead, but more so a message for myself: Keep at hard and good work, and don’t get dazzled by the spotlight. I am inspired more by what he is doing today, than what he did in his capacity as sitting President. It takes courage to let go, and an epiphany of sorts, to see the power that he has and is willing to share; give; shine onto other young leaders who are raring to make a change. My big takeaway from his speech is one that I hold closely in the work we do on youth development: Many issues persist not because there isn’t the technical solution. There are smart people all over the world who can put their minds together to solve wicked problems. What’s missing is a lack of leadership — and not necessarily those who hold positions or offices — but leaders who can mobilise people and organise humans.